Arsenal striker Lucas Perez has completed his transfer to West Ham on a three-year contract for a reported fee of 4 million Pounds. The striker signed for Arsenal from Deportivo La Coruna in 2016 and scored seven goals in 21 matches before returning to the La Liga club on loan last season. The 29-year-old is West Ham's seventh signing of this summer after Ryan Fredericks, Lukasz Fabianski, Issa Diop, Jack Wilshere, Aindriy Yarmolenko, Fabian Balbuena and Felipe Anderson completed the switch to the London Stadium. “I’m very happy to be here at such an historic Club,” he said. “I’m very excited, as West Ham are giving me the chance to stay in the Premier League and I’m very happy to be part of this new project. 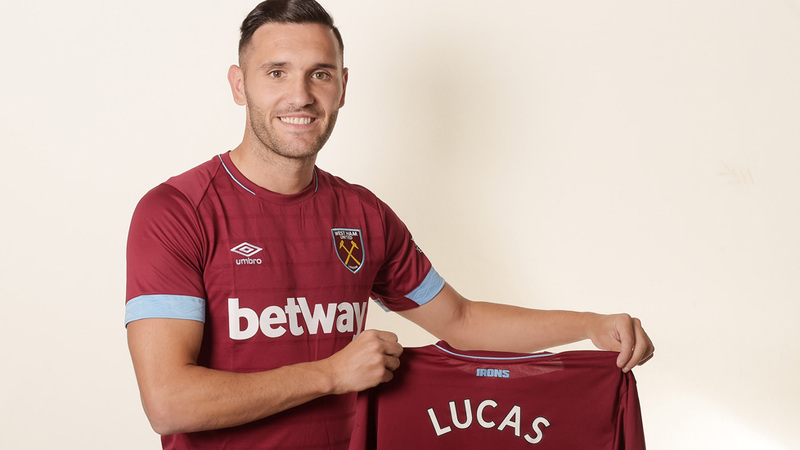 West Ham director of Football Mario Husillos welcomed Lucas to West Ham and believes Manuel Pellegrini’s squad will be the perfect environment for the Spaniard to thrive. “We welcome Lucas to West Ham United,” he said. “He is a very experienced player that Manuel and I both know well from Spain. “He has great technical quality and can play as both the main striker or the second striker in a deeper role. He scores goals, but can also create them and link well with the midfielders. “His style is different from the other strikers we have available to us, and that gives the manager more options for our attacking play. “Lucas also has experience of the Premier League with Arsenal, and is familiar with life here in London, which of course means that he will take less time to adapt and be ready.